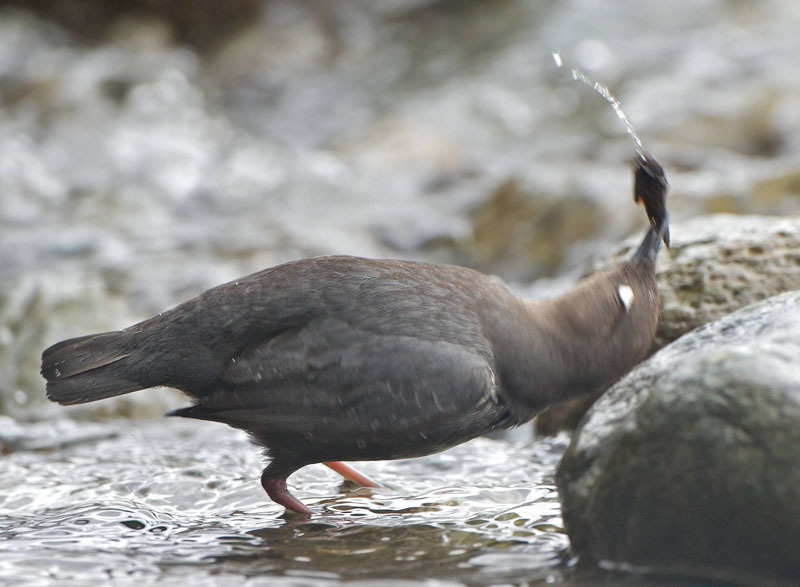 Gallery » Photography » American Dipper with a caddis fly -- WHACK! American Dipper with a caddis fly -- WHACK! American Dippers are splendidly adapted for life on the stream, where they dive and swim for food in all seasons. Dippers have a couple thousand more feathers than other songbirds over a layer of down. And even their white eyelids are feathered (captured in the above image)! On the water's surface, dippers paddle with their legs. Under water, dippers swim by flapping their wings, using their strong feet to walk along the stream bottom in search of invertebrates, eggs, and small fish.